Maui: Day 5 | how 'bout some cake? 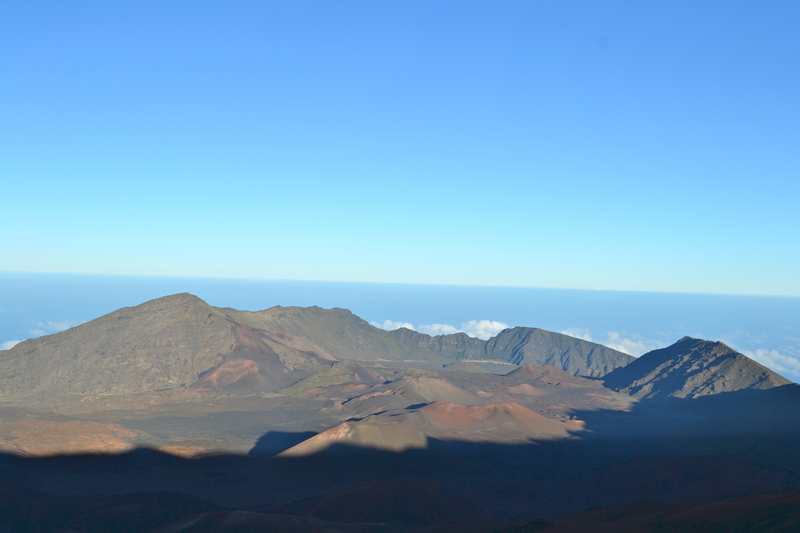 Haleakala, the world’s largest dormant volcano, is 7.5 miles wide, 2.5 miles long, and 3000 feet deep- that’s big enough to hold Manhattan. 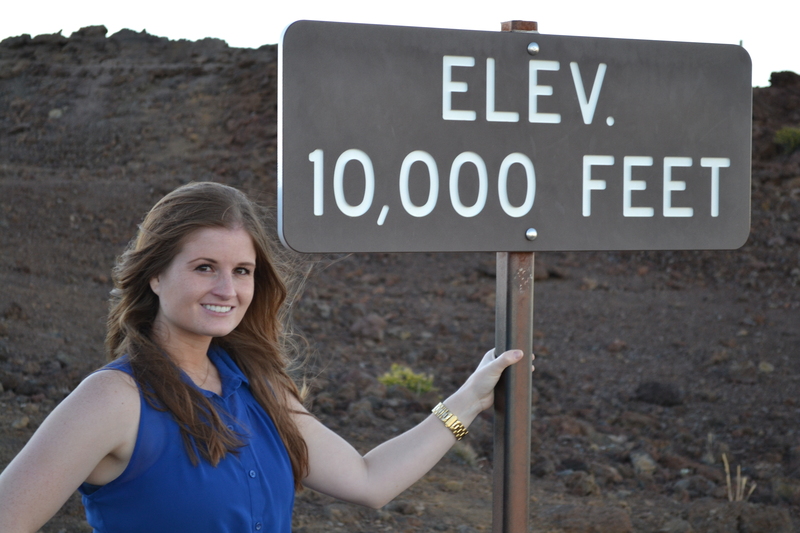 It was once 12,000 feet, but water has eroded it over time- now it’s almost exactly 10,000 feet above sea. 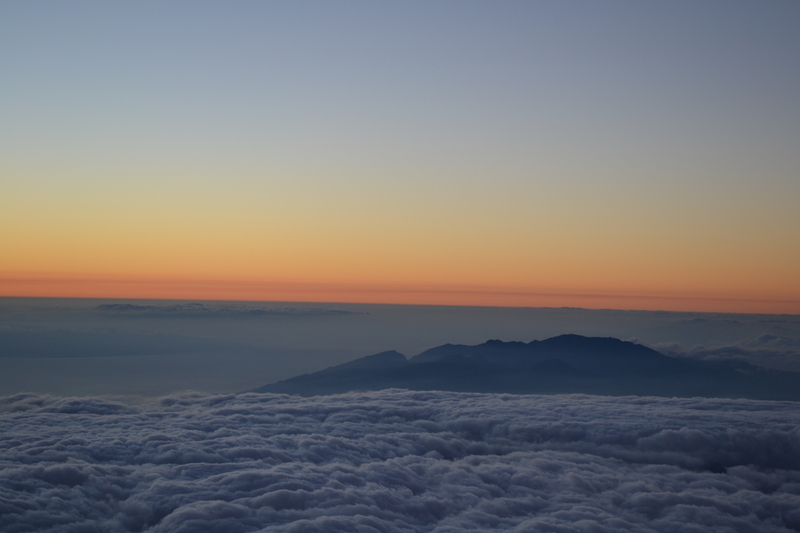 That’s well above the clouds, and about 30ºF colder than sea level. 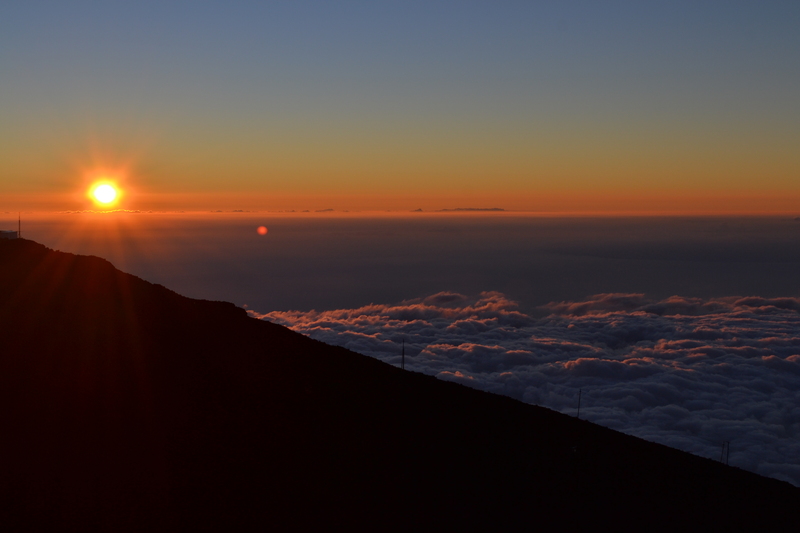 It’s popular to go at sunrise, but let’s be real- we obviously didn’t do that. Instead, we went the second most popular time: sunset. It took us about two hours to get there from where we were staying. 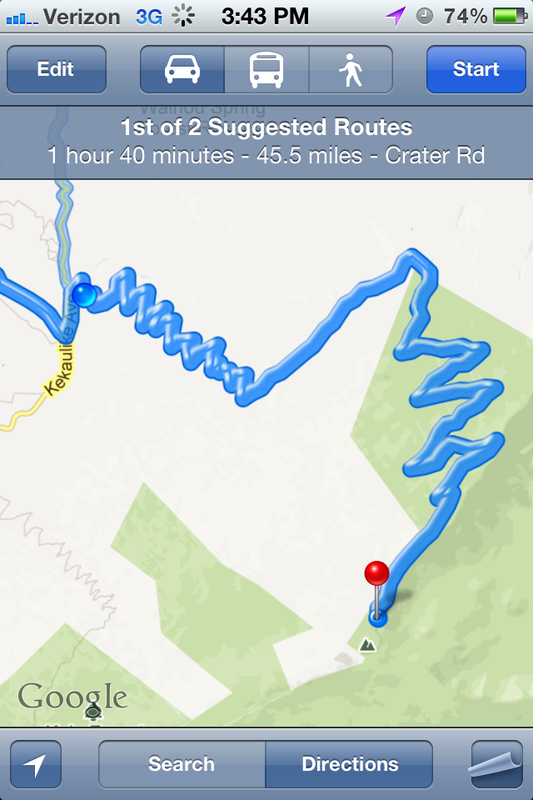 The last 45 minutes were tough- windy, steep, and without any shoulder. 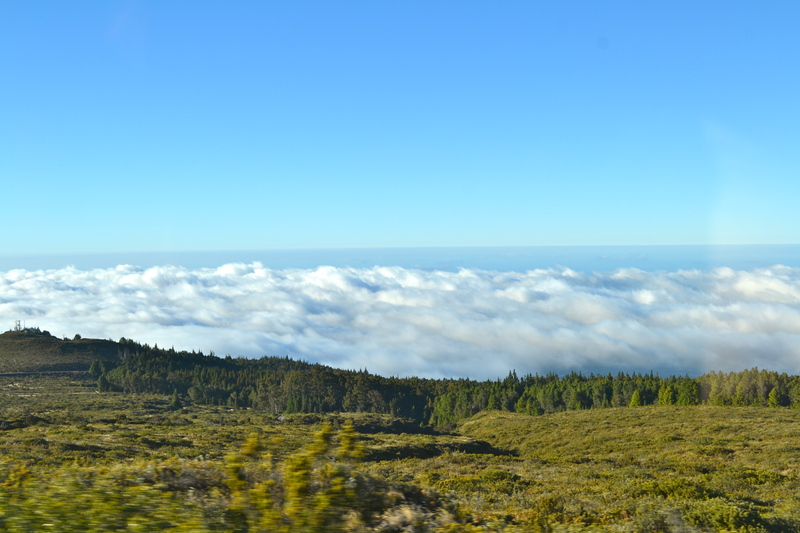 On the other hand, the views are spectacular as you leave most of Maui far below you. The way down was especially tough in the dark. It was enough to make me nauseous, but the view at the top more than made up for it. 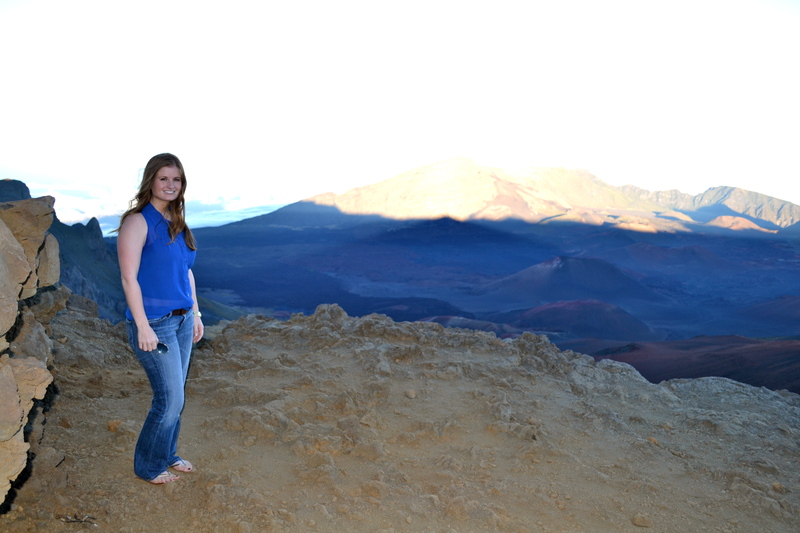 To stand on the side of the crater is one of those spectacular experiences that reminds you of how small you are. It was a really breathtaking sight- especially once the sun set and lit the sky on fire. I’m going to let the pictures do the talking. 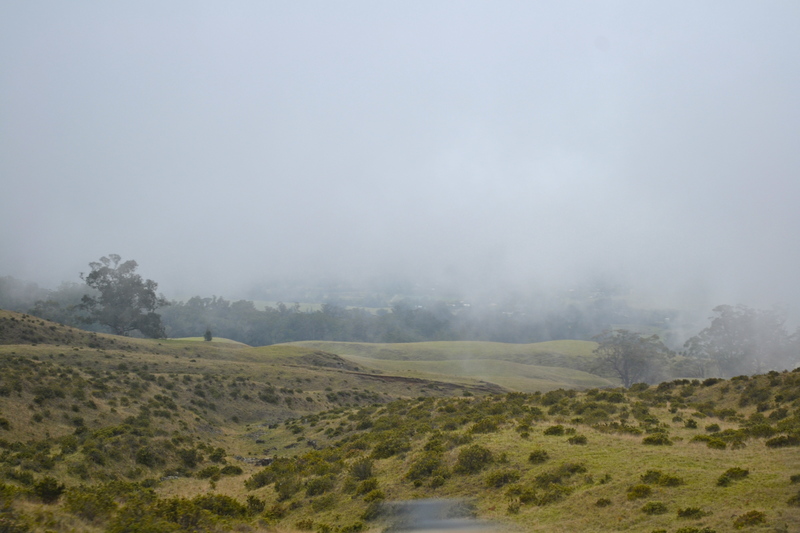 They start about the time we broke through cloud level. 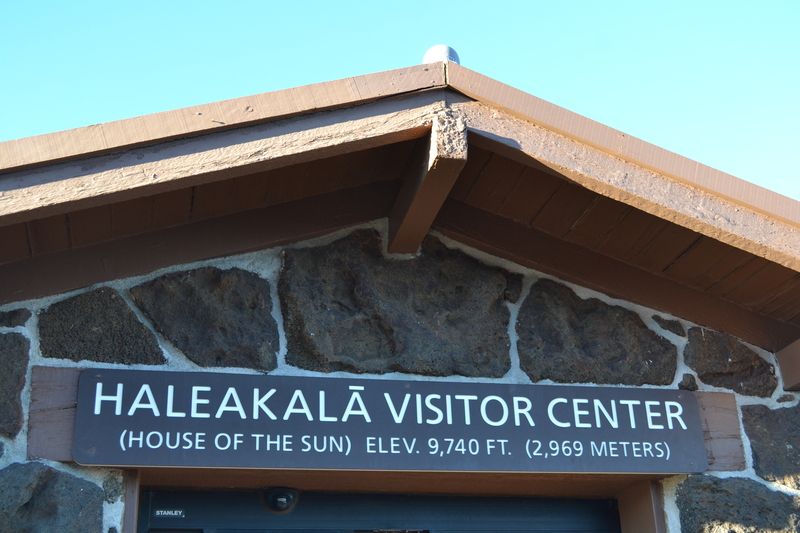 This entry was posted in Travel and tagged haleakala, haleakala crater, Haleakala state park, Hawaii, Maui, sunset, sunset photos, Travel, vacation. Bookmark the permalink. Oh my goodness these pictures are amazing! When I was in Italy I hiked Mt. Vesuvius and these pictures remind me of that so much! Doesn’t it feel like you’re on top of Mars or something? It’s an incredible feeling! Wow, I bet that was an awesome experience! 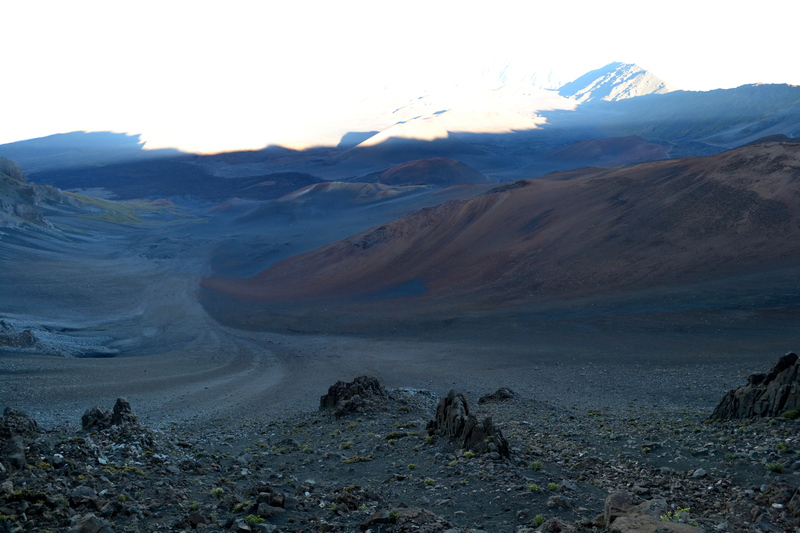 It did feel just like Mars… it definitely DIDN’T feel like Hawaii due to the frigid temps! 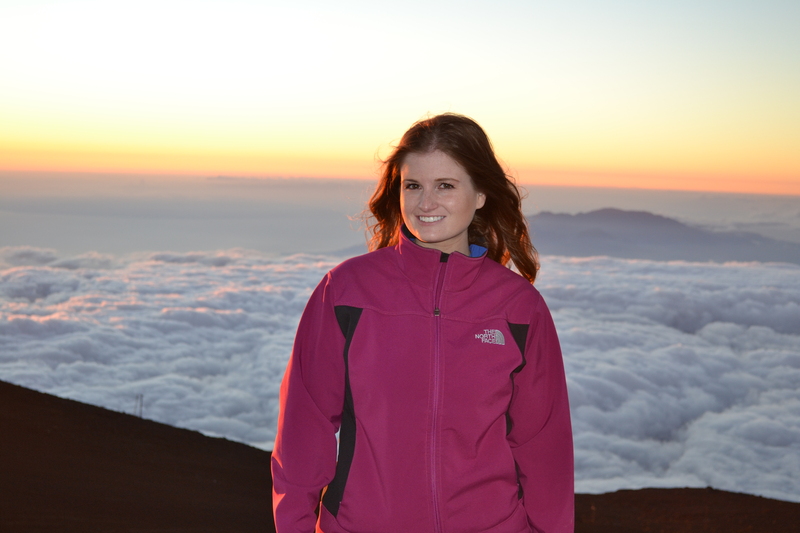 How gorgeous are these pictures….the sunset is amazing! Oh my god, those pictures at sunset are incredible! But the route to get there, yikes, makes me nervous just looking at it…looks like you guys have been having an absolutely blast and are doing/seeing so much! Gorgeous photos Rachel, the sunset looked stunning! 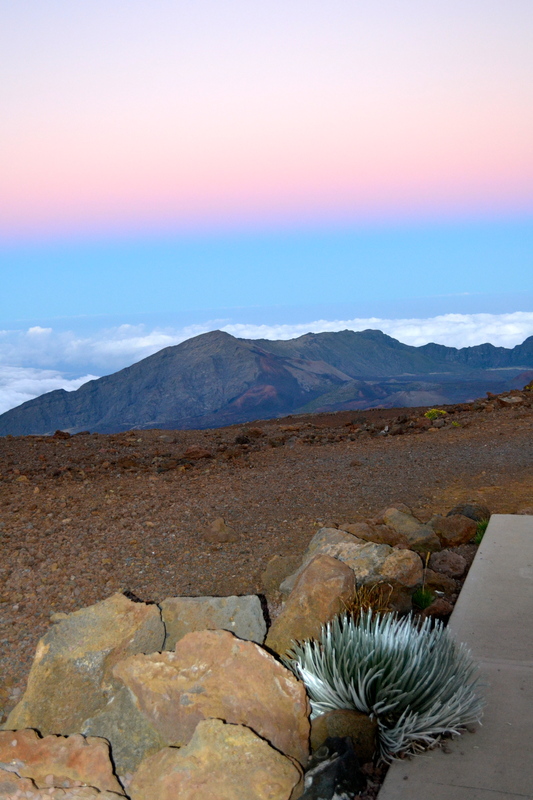 I loved staring into the massive crater and taking in the amazing views! Ps. Love your blue shirt! These pictures are breathtaking! I love going on hikes so this would be something that I would love to do. Plus you look so pretty after this hike. I would be all rugged after something like this! Wow! I’ve never been to Hawaii, but this looks amazing! Beautiful photos – totally on my bucket list now! Looks like an incredible experience! I lobe your tips! Thank’s for sharing this incredible experience! This is absolutely stunning! How amazing are the colours in the last photo. I’m so glad I came across your blog. Hope to stay in touch.